Yes, the upper Vepr looks exactly the same, as sell in Russia. Muzzle brake only different. Despite all its advantages, I do not like Vepr. I prefer Saiga 12K030 - it a little easier, and in my view has the best ergonomics. Although many friends like Vepr. 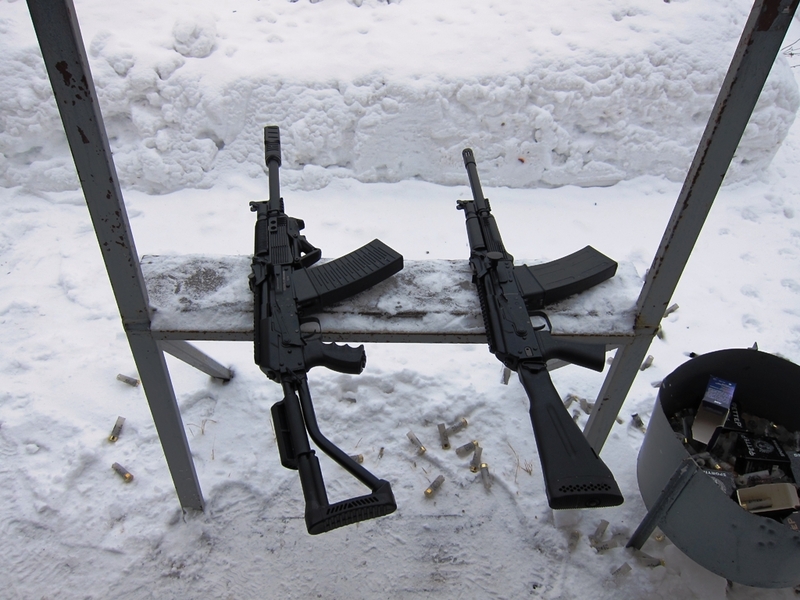 Incidentally Saiga 12K030 (under the designation KS-K 18.5) is the only family of Saiga /Vepr shotguns officially entered service Russian special forces. I finally took a new picture with the modified safety lever, Thanks to GunFun so long ago. Sorry for the delay. Thanks, I found this one in a big block of laminated stock material. I was just laying there. All I had to do was whittle away all the excess wood that was surrounding it.